Executing a business strategy in a way that is tax effective while trying to deal with increasingly complex taxation legislation is an ongoing challenge for many small businesses. Need reliable accounting professionals to work out how to deal with it all? At Wilson Porter we combine in-depth knowledge of taxation issues with an understanding of how tax fits into your business’ big picture. Planning ahead is an important approach to a tax strategy that offers maximum benefits to your business. 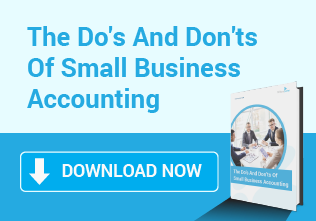 Many small businesses don’t have the time to look to end-of-financial-year and work out how they can make the most of their situation. This lack of time and expertise often costs thousands of dollars unnecessarily. We provide end-of-year tax planning and advice in order to streamline your returns strategy and ensure you gain as much as possible. We will also take a look at the links between your business and personal finances and any other financial arrangements your enterprise may have with family, friends or other entities. GST-registered businesses are responsible for collecting goods and services payments and sending it through to the Taxation Office in a Business Activity Statement. Determining your GST income and keeping it separate from your regular earnings can become complex, especially over the course of a whole financial year. While there are a number of solutions, using our Business Activity Statement preparation guarantees efficiency. We offer this as a full preparation service, handling all of the necessary administration, or we can offer expert consultation on how your business should be preparing your GST accounts for review. Many small business owners choose to handle their own tax returns as part of the freedom and responsibility in being their own boss. But tax deadlines can come around quickly, and if you are caught out unprepared, it can cost your business dearly. We offer income tax return consultation services to help you meet your compliance obligations and keep you in the clear. Our friendly accounting professionals can help you ensure your returns are all in order, giving you peace of mind for another 12 months. Fringe benefits tax is an area of tax legislation where complexity gets turned up significantly. Many small business owners confuse their inclusion of fringe benefits with their income tax returns. 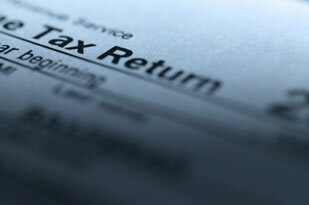 Fringe benefits tax is entirely separate, with a different financial year and deadlines. Our expert knowledge of fringe benefits tax comes from over 20 years of exposure in the accounting and finance sector, meaning we can make filing your fringe benefits tax return as stress free as possible. We offer a full assessment of your business’ liability and work with you to develop strategies to minimise your tax obligations. NSW authorities are taking a proactive approach to revenue collection these days through increasingly complex tax legislation, especially on mandatory state taxes like land and payroll tax. If you own your business’ site and your land is determined to be above the state threshold, you will likely need to pay land tax. Payroll tax, meanwhile, applies to all businesses who pay employees and have a wage bill higher than the NSW threshold. We know how important it is that all small businesses are compliant with state tax obligations. Our accounting team have helped numerous clients over the years with tax issues to ensure they remain compliant, working with your business to develop a tax strategy that benefits you. Is figuring out your tax obligations and getting everything together taxing you? 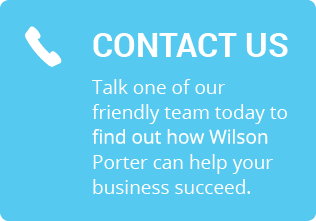 Wilson Porter have solutions for you. 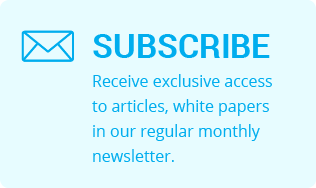 Simply fill out our contact form to find out more.